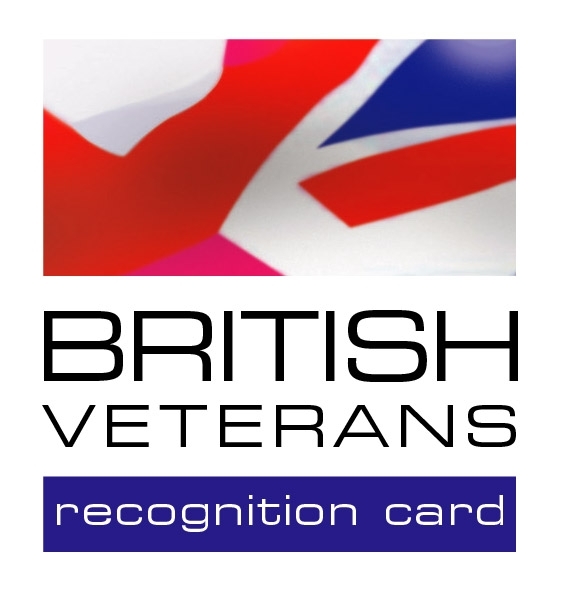 British Veterans Recognition Card was set up in 2003 when 2 ex-servicemen saw the growing requirement for a formal, nationally recognisable identity card that proves former service. Whilst the card is primarily an identity card, showing the full name, passport photograph, DoB, rank and service of the holder, it also serves to unlock a variety of discounts, some already established and others exclusively negotiated with BVRC. British Veterans is run as a not-for-profit organisation and as such must charge small membership fees to cover incurred costs, however by employing this method it ensures that members costs are offset by benefits. British Veterans does not charge commission on any offers, thereby guaranteeing that 100% of the discount is passed on to its members. Now in its 7th successful year, British Veterans has had over 4500 members, and is still growing. It has a large number of exclusive deals with various Partners, and a new director and relocation last year has only worked to its advantage with increased memberships and regularly updated offers (e.g. 5% off ASDA (inc. fuel), 50% off Malmaison Hotels, and savings of £24 (20%) when a family of 4 visits Alton Towers). Now moving into the travel industry, British Veterans will be facilitating WW2 Veterans to return to their battlefields under the Heroes Return 2 scheme, the first of which is a trip to the battlefields of the North African Campaign – El Alamein, Mersa Matruh, Tobruk, Gazala – currently taking bookings for late May 2010.